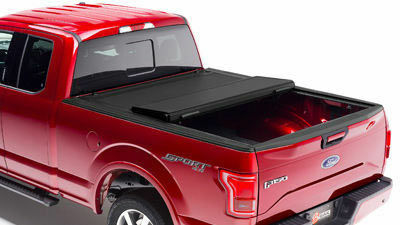 Tonneau covers are one of the most popular truck accessories on the market also called truck bed covers. 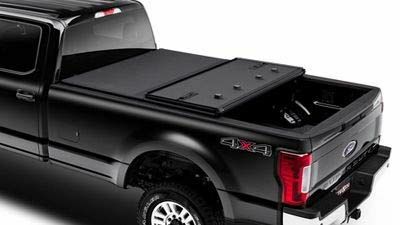 Stylish and affordable truck bed covers give you the option of having the extra storage space of a trunk, but still the look of a sharp truck. Extang was first to introduce many of the styles and features evident in the tonneau industry today. Since 1982, Extang continues to lead the industry with new, good quality products. 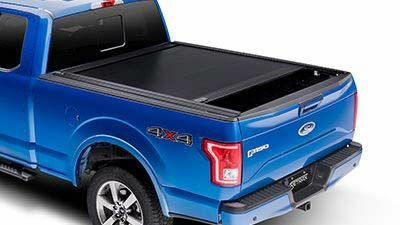 BAK Industries currently produces the only truck bed cover in the world that will allow full and unobstructed access to your truck bed without ever having to remove it. All BAK covers sport patented “no profile” flush-fit designs. 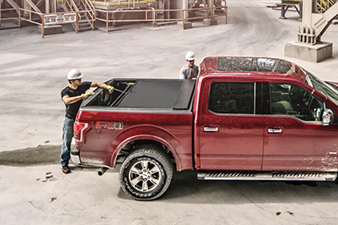 Our tonneau covers are built tough and styled elegantly to compliment the look of your truck. Designed to be sleek and aerodynamic. 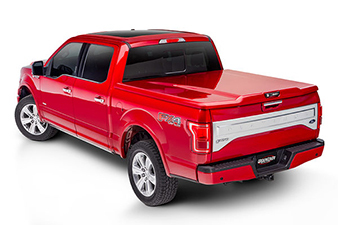 Mild ribs and a subtle curved spoiler gives a sporty look thas hasnt been seen on Tonneau covers before. No drilling installation and it takes approximately 1-2 minutes to take the cover off and store with wall mount hardware (included) on your garage wall.